The venue is one of the most important elements to look into when planning a wedding. Needless to say, the location must be perfect for such a once-in-a-lifetime event. You have to find a venue that suits the formality and solemnity of the ceremony as well as the intimacy of the celebration. Most importantly, it must provide the necessary space and comfort for you and your guests. How do you find the perfect place to say “I do?” Here are some tips and reminders for you. One of the fastest ways to look for a venue is by doing it online. In just a click of the search button, you can find a number of locations within or around your target area. Don’t limit your search to “wedding venues” and try looking for event locations. For example, St. Paul event venues in Minnesota may be known as a popular corporate event center, but they also have wonderful facilities for wedding ceremonies and receptions. List down the venues you see online. Once you have listed a good number of venues, visit their websites one by one. This is a good way to learn more about the place, as well as their amenities, services, and the types of events they cater to. Pay attention to the photos and read their website content. Find out about their capacity, rental costs, and availability. Check the dining and accommodation options, as well as extra facilities like outdoor space and parking. Narrow down your options and eliminate venues that are not available on your wedding date and those that don’t match your demands and requirements for your big day. Contact your top venues and schedule a visit. Take this chance to examine the venue and see if it suits your wedding perfectly. Is the space enough for your guests? Are the amenities complete? Is the ambience great? While you’re at it, ask the event officer about everything you need to know. Can they design the venue according to your wedding theme? Do they have resident caterers? Can they provide you with things that you need (stage, mini bar, photo booth, etc.)? Explore other venue options. If you have a favorite place or a unique wedding idea, you can plan something beyond the ordinary and traditional when it comes to your venue. For instance, you can rent a farm area to become your countryside-themed wedding venue or perhaps a private beachfront villa for a tropical beach destination wedding. Other than event centers and halls in hotels, you also have the option to go outdoors and rent a huge tent. Wedding tents come in a variety of sizes to suit your event. They also come in different styles to suit your style and aesthetic needs. Finding the right wedding venue is easy when you know what you want and what you need. Advanced planning is key to making things less stressful as you get closer to your wedding day. 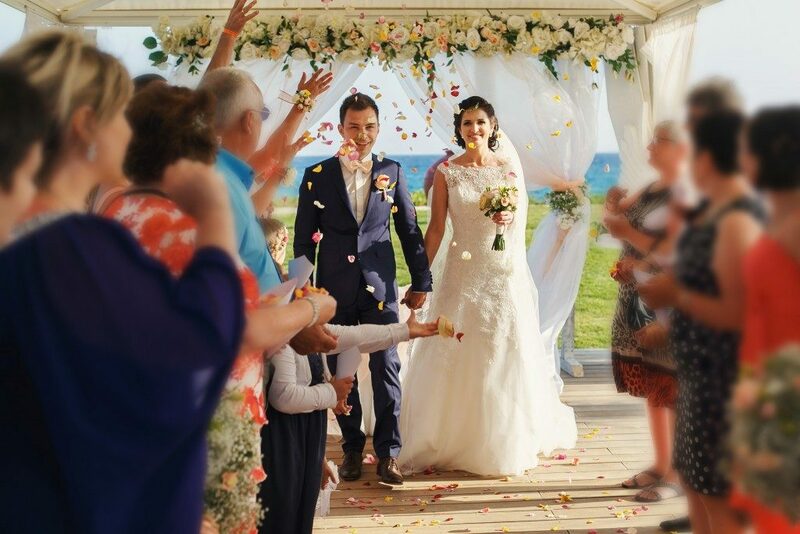 Keep in mind the above-mentioned tips so you can find the best venue for your most awaited moment.